New characters and situations are added to those from the already explosive Left Behind series to raise the tension to a fever pitch. 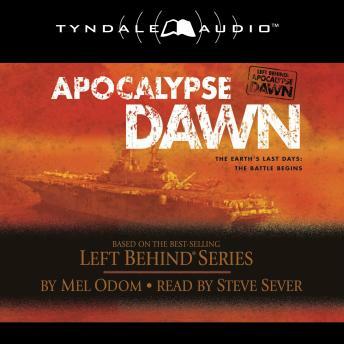 With technical accuracy from the same people who create best-selling military thrillers, this new series will satisfy the fans of the original Left Behind series who are looking for more. This book reads like a soap series which I would never watch because it's so unrealistic. It's not even as good as a CSI show, which I find not that well written. This is a wonderful book that parallels the Left Behind series. I can't wait to get the next book in the series. I found this book to be terrible. The author spent so much time with evangelical christian propaganda that he forgot to put together a story that be followed. Boring! Never got off the ground. It claims to be technically correct, and it is, but not at all realistic.